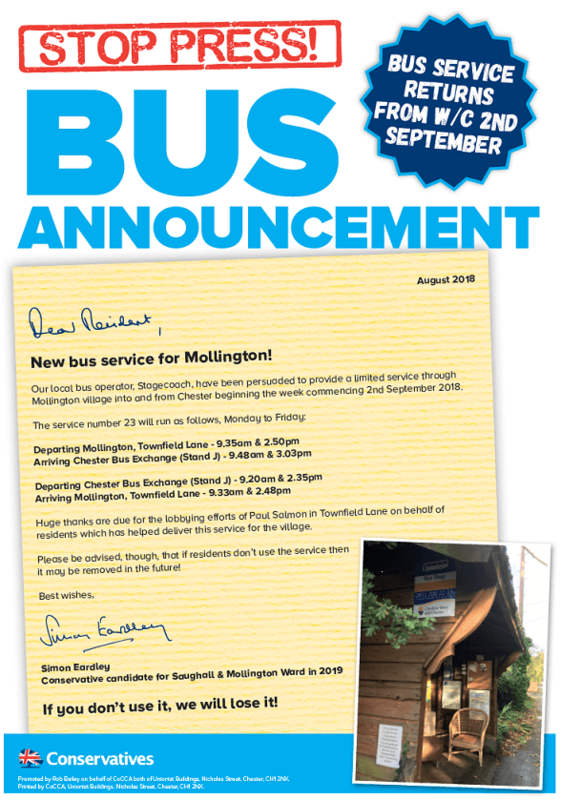 Departing Mollington, Townfield Lane at 9.35am & 2.50pm. Arriving Chester Bus Exchange (Stand J) at 9.48am & 3.03pm. Departing Chester Bus Exchange (Stand J) at 9.20am & 2.35pm. Arriving Mollington, Townfield Lane at 9.33am & 2.48pm.